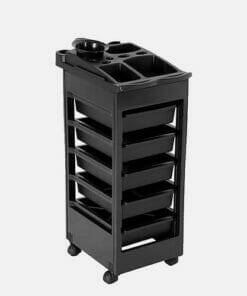 Hairdressing trolleys / salon trolleys are a vital piece of equipment for any professional hair stylist working in a modern salon or barbers. 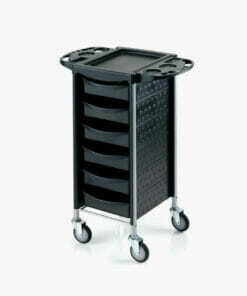 These ergonomic roll about storage carts are an essential item that will help hairdressers keep their salon equipment and supplies organised and close to hand at all times. 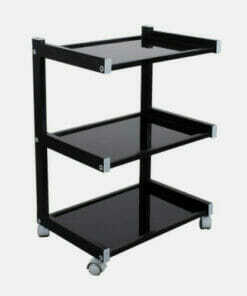 Our exclusive collection also includes roller carts for barbers and beauty spa trolleys for professional beauticians. 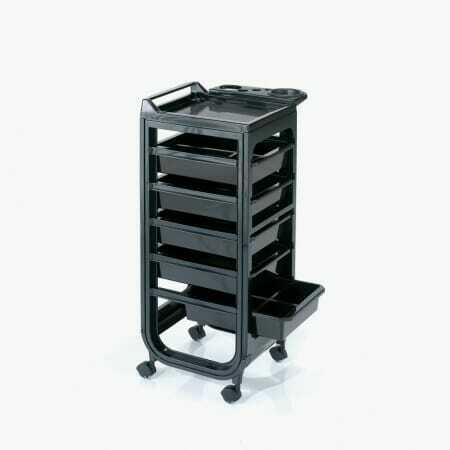 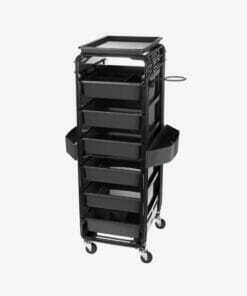 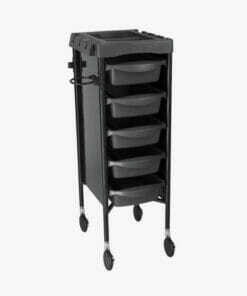 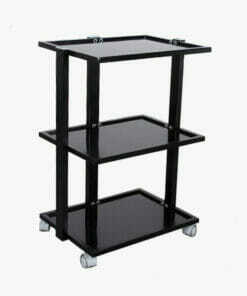 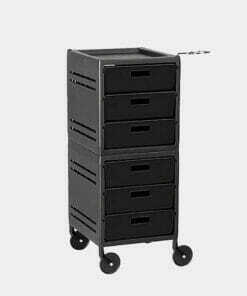 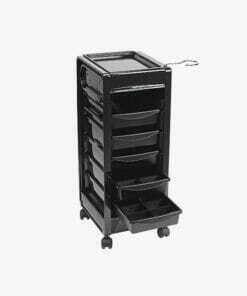 Makeup artists will also benefit from the practical usability of our roller storage carts. 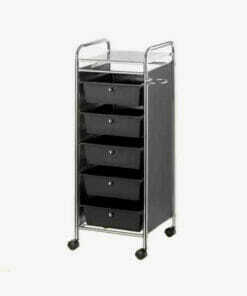 Durable, lightweight trolley with 5 spacious drawers, perfect for busy salons. 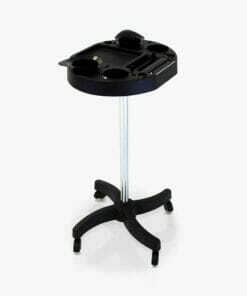 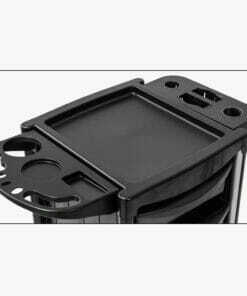 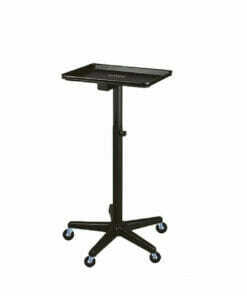 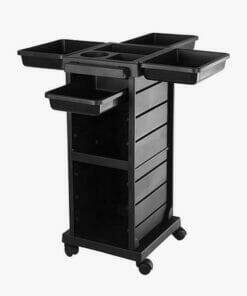 Black round tinting trolley with bowl on a 3 wheeled base. 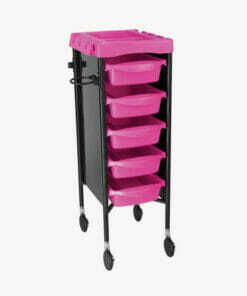 Salon trolley with four drawers and extending accessory trays, easy to assemble. 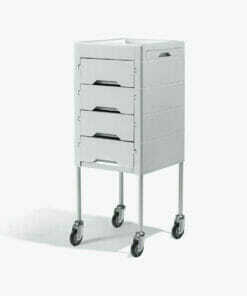 Features 8 spacious drawers, a dryer holder and a strong metal frame. 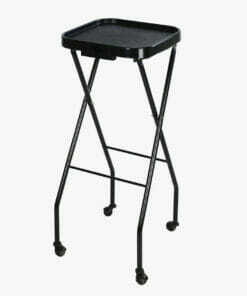 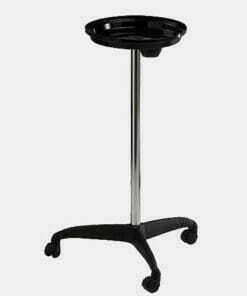 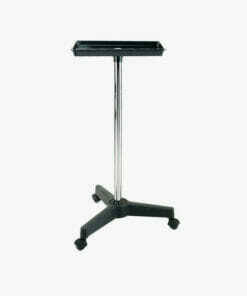 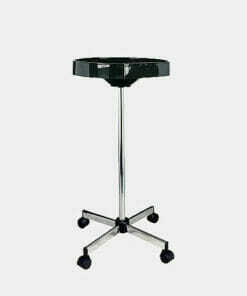 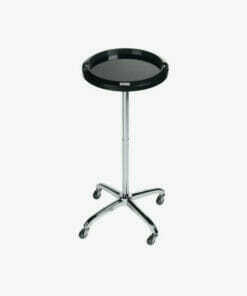 Salon tinting stand with wheels comes on a sturdy 3 star plastic base and a stainless steel stem. 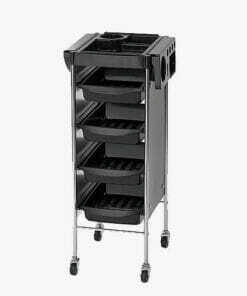 Featuring 5 spacious deep drawers, also features a dryer holder. 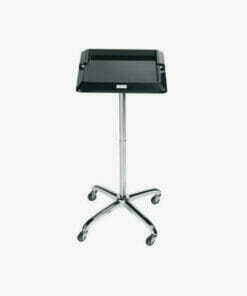 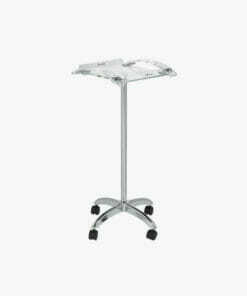 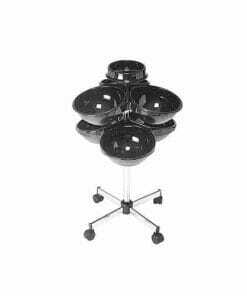 Metal frame on a castor base making it easy to maneuver around your salon. 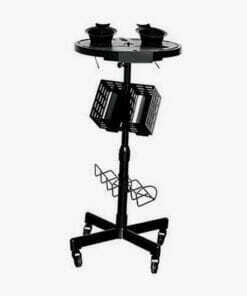 Black salon hairdressing trolley with dryer and tint bowl holder accessory top and 6 sliding trays. 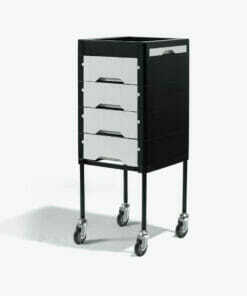 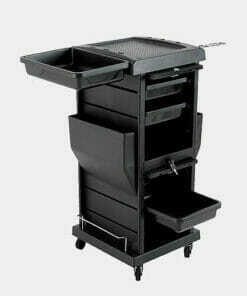 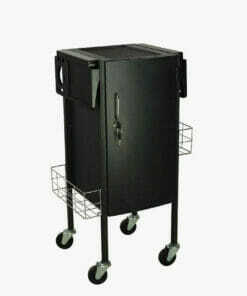 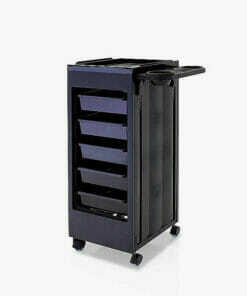 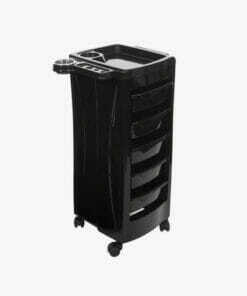 Black hairdressing trolley with 5 drawers and a flat top with dryer, tint bowl and tint brush holders. 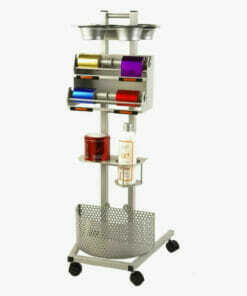 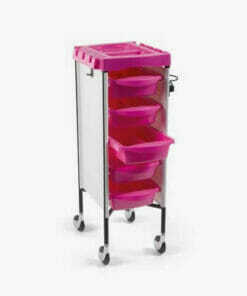 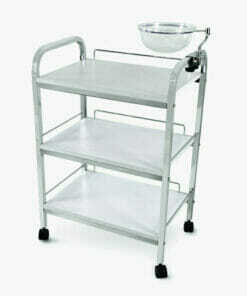 Mobile colouring trolley with foil dispenser and versatile top tray with multiple function and bowls. 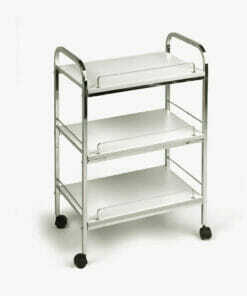 Features a solid chrome frame and three white shelves. 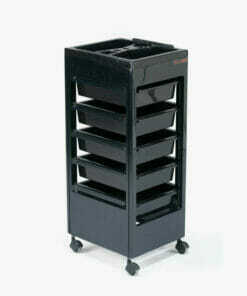 Available in Black or White and can come with a flat top or accessory top. 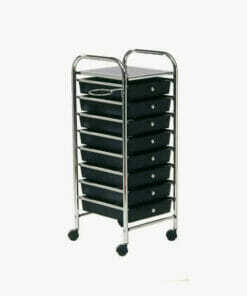 A practical, stylish trolley with 6 generously spaced drawers. 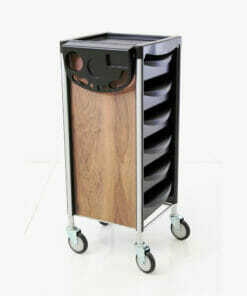 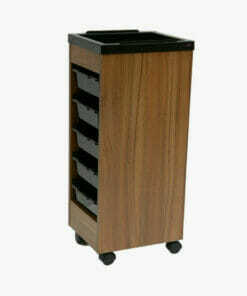 practical and sturdy salon trolley, available in a range of laminate colours. 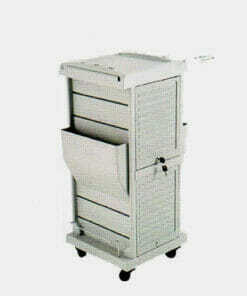 Tinting trolley with large workspace and built in timer and available in black or silver. 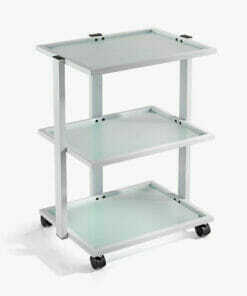 Robust white frame with 3 frosted glass shelves and a built-in mag lamp holder. 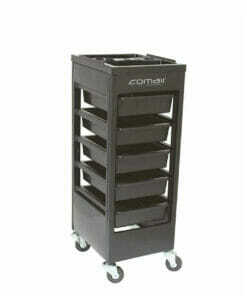 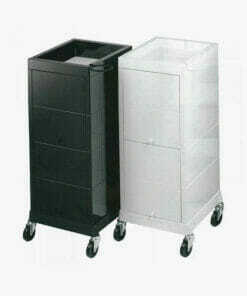 A practical, stylish trolley with 6 generously spaced drawers and heat resistant top. 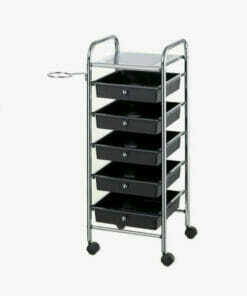 Black and chrome metal locking hairdressing trolley with dryer and tint bowl holder accessory top and 5 sliding trays. 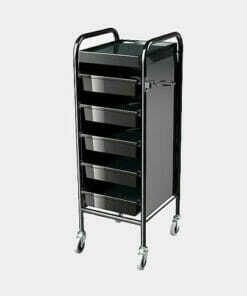 The sliding trays of these storage trolleys offer generous storage capacity enabling you to manage and organise the equipment you need to effectively do your job. 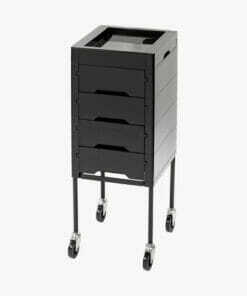 Most of the portable beauty salon and hairdressing utility carts we have for sale include hairdryer holders and multiple accessory compartments including tint and colour brush holders. 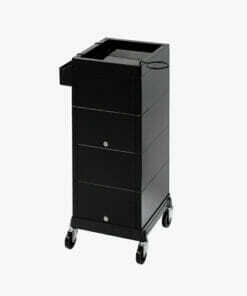 We even offer locking salon trolleys for secure overnight equipment storage.Our range of stylist trolleys are available in a wide variety of finishes to compliment your salon, barber, or beauty spa interior, including laminate wooden looking finishes and brushed metal styles.Many come in styles that work well with other salon furniture available from our popular industry brands. 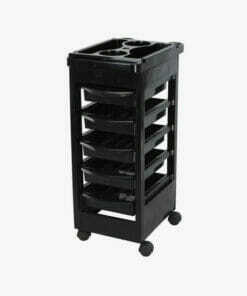 Choose from our range below or call us on 01270 630280 to discuss the various options available. 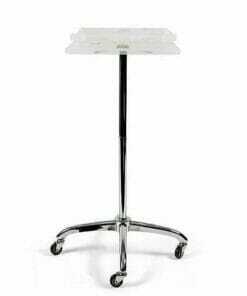 We will be happy to advise you.